Stock Low : 278 items left. 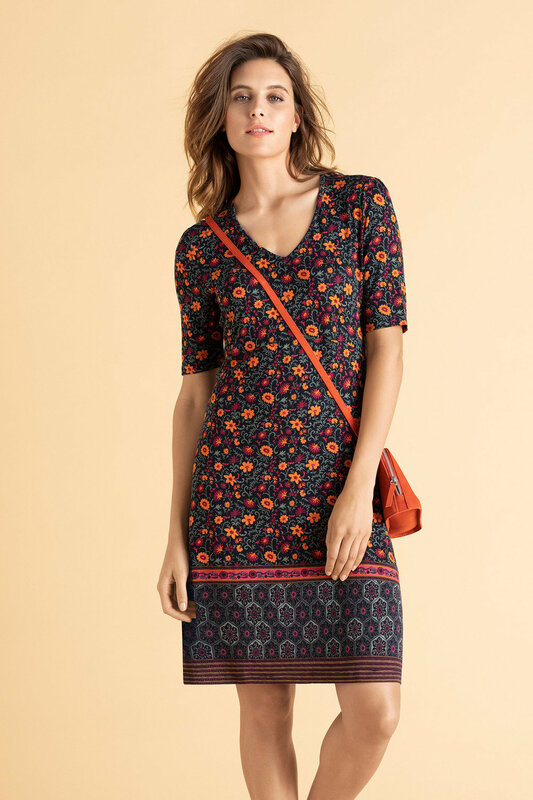 Available in a wide range of bold prints and colours, the Emerge V Neck Dress is the ultimate in easy to wear and on trend dressing. Cut with a v neck and short sleeves, this relaxed and elasticated style works with heels and boots or sneakers for a more sports luxe look. Measures 93cms from shoulder to hem.